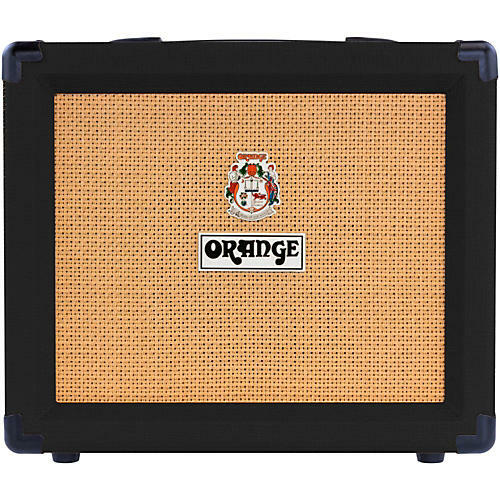 Big Orange sound to rock your practice space. The twin-channel Orange Crush 20 20W guitar combo takes an uncompromising approach to guitar tone and puts it in a compact and portable package. Orange's all-new high-gain, four-stage preamp design serves up a hugely versatile palette of rich distorted tones with a commanding delivery that belies the amp's modest footprint. CabSim technology has been added to the line/headphone output that faithfully emulates the sound of a mic'd Orange 4x12" cabinet loaded with our flagship Voice of the World speakers. Connect to a mixer/recording console or headphones to capture huge, authentic Orange tones at home or in the studio.